We’re so excited to be moving into our new Historic Marietta Square studio. It’s a work in progress, but we thought it would be fun to document the journey. 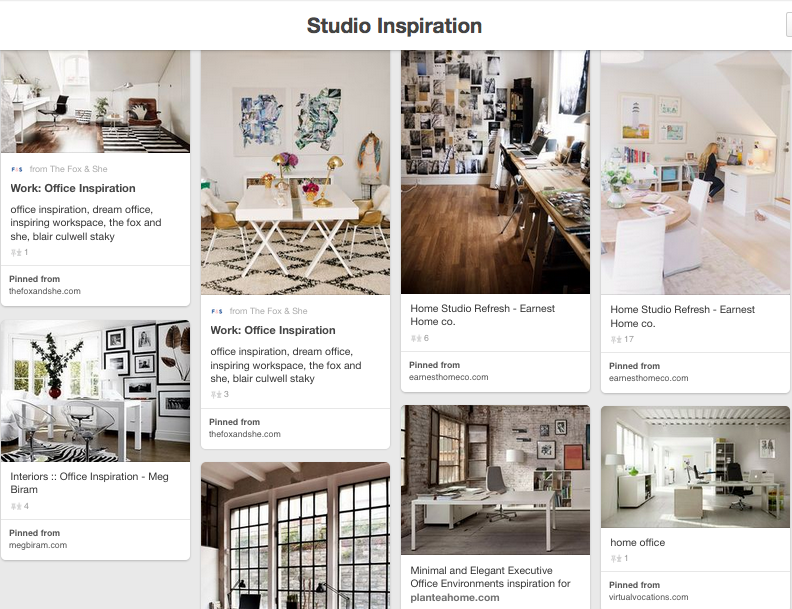 Just as we ask our clients to keep a file of design styles they love, we started a file of our studio inspirations on Pinterest. It’s an exciting time! 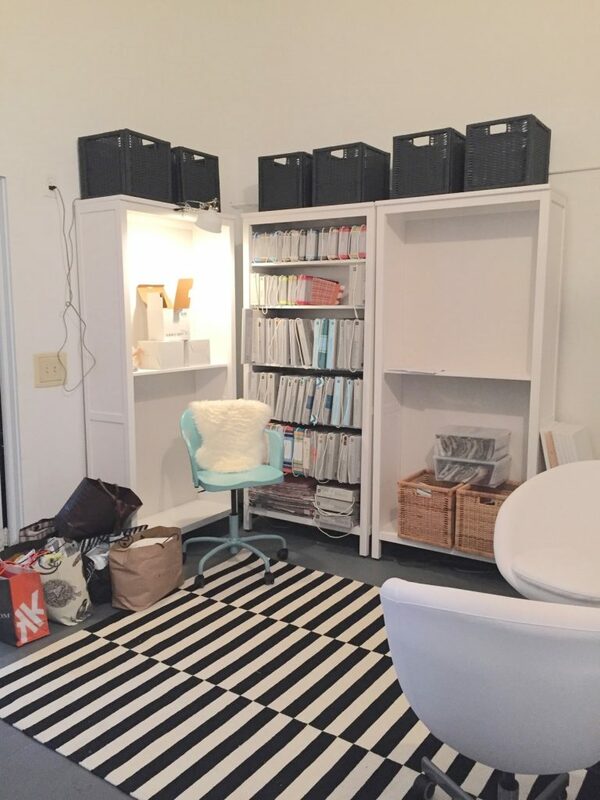 Our #1 need is storage space for fabrics and client files. We liked the bookcases and clean lines of this office space from Abduzeedo Design Inspiration. So off we went to source tall storage solutions that would be deep enough to hold our fabric books yet shallow enough to be a space saver. 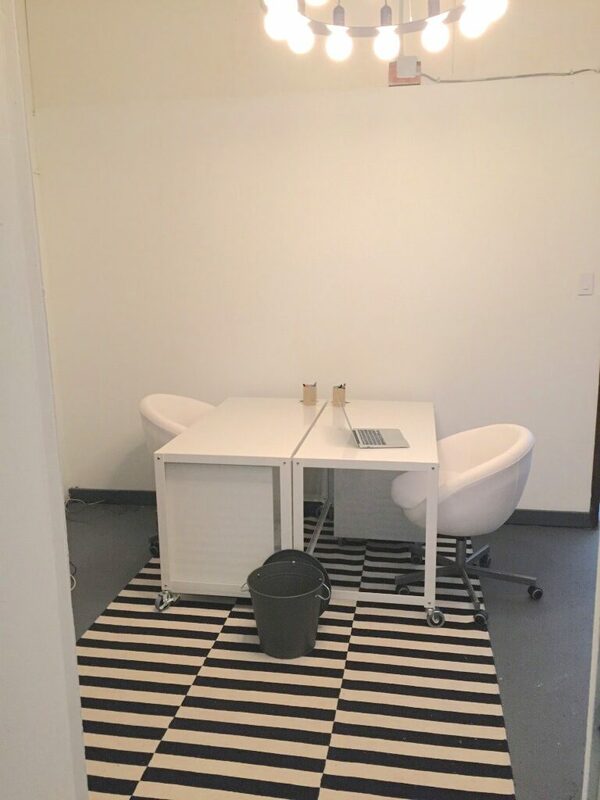 The goal for our studio is to be neutral, graphic, and organic… a space that reflects our classic, modern-chic style. 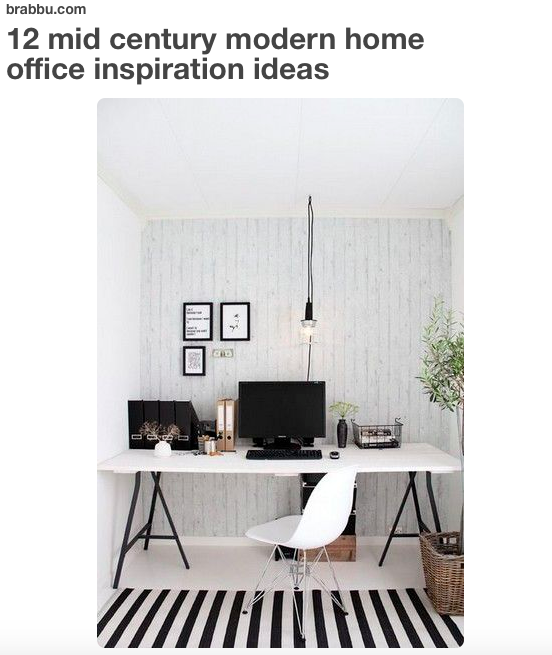 When we found these photos of inspiration, complete with graphic black and white stripped rugs, we were sold! It’s the prefect balance of “bold meets classic” design. Here’s the rug we sourced for our studio space. We just love it! This is a work in progress and isn’t quite ready for the “big reveal” just yet, but it’s coming along. 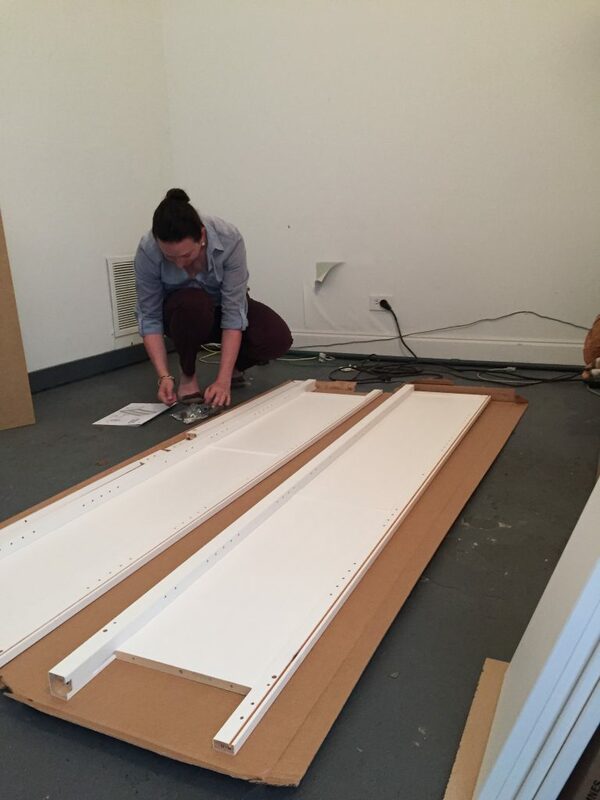 We can’t wait to show you the finished studio space, which will be completed soon! New lighting has been installed, desks have been delivered, and we have even more design plans up our sleeves. We’re really excited about our plans in the back room of the studio. The current window backs up to a courtyard with beautiful brick walls, original to this Historic Marietta building. Below is our inspiration image, but we’d like to tweak the design a bit to incorporate a door, so we can enjoy private courtyard meetings with our clients. Won’t that be fun! More design plans and photos to come. Stay tuned! Using your dining room as your home office. Could you do it? When I went back to work full time 2 years ago, I took over our guest room for my office. At first, it was just for storage and now it is my full fledged office space. This doesn’t seem to bother anyone too much other than me. I really dislike not having a dedicated guest room space. Maybe it’s a Southern thing, I’m not sure. Sometimes I come across people who have turned their dining rooms into their home offices. Now, I’ll be honest. I’m not sure that I could do this. I’m a “leave the mess until tomorrow and just shut the door” kind of girl. To have my office open to everyone that walks thru the front door might be more than I could handle, but I love the idea. 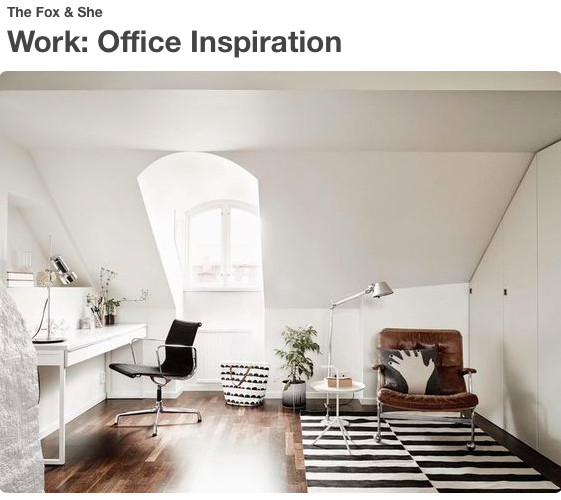 Above is Emily Clark’s home office. I know your thinking the same thing I am, how does she keep that space looking like that with 5 kids?! I have no idea, but she’s my hero. This is another option. Set up an armoire and bookcase in your dining room. Not the look I’d want. I want it to feel like a dining room that can also work as an office. I would want things to be hidden away when company comes. I love this option. You can see that the space is still set up for dining, but the office is hidden away in the built in bookcases. Don’t you love the window seat? Style and function wise, this is by far one of my favorites. Love the floor to ceiling bookcases, as well as the closed storage below. More closed storage could be added by using fabric covered boxes on the shelves. 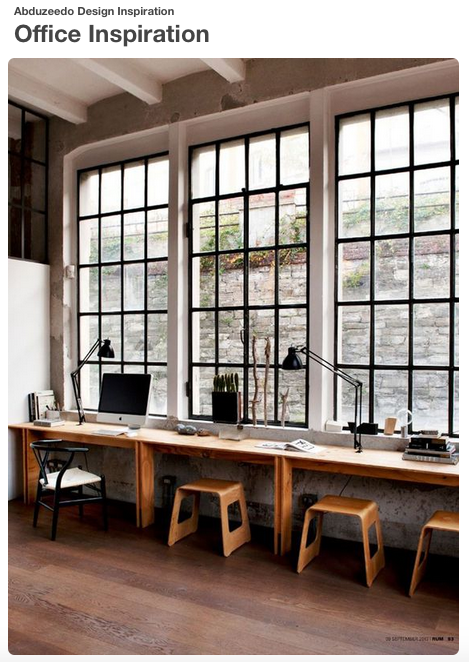 I could easily see myself working at this desk/table. 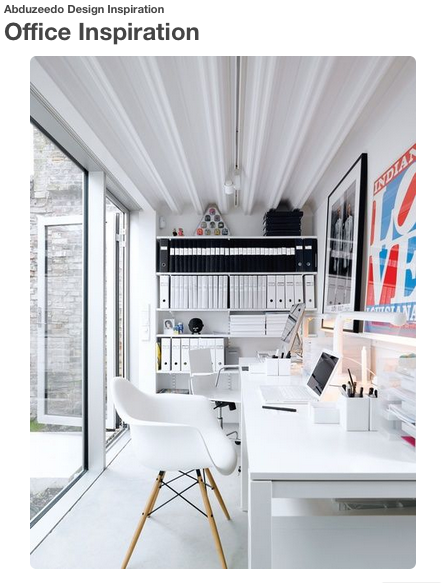 This is the image that got me to thinking about the dining room/home office idea again. Can you see the desks? I didn’t at first. It took me a couple of seconds to realize that this is the other side of the dining table. Take a look at the first photo again. The two desks look like a console table. They are perfectly hidden away. The ghost chairs add function without taking up any visual space. Love this idea! 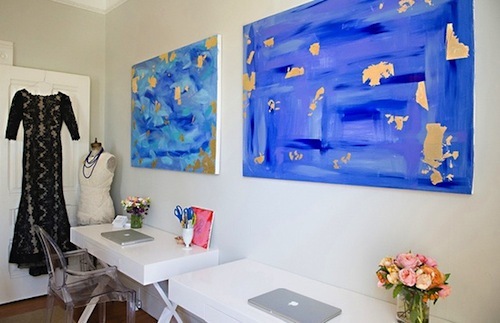 This office is in the San Francisco home of jewelry designer Meg Galligan. Her home is featured today on the fabulous website The Everygirl. So, what do you think? Do you have rooms in your home that do double duty? 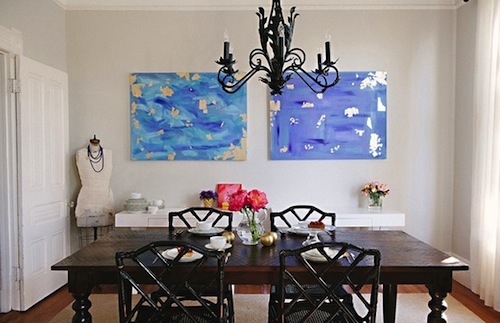 Would you be able to work in your dining room or are you a close the door kind of girl too? Let me know your thoughts!